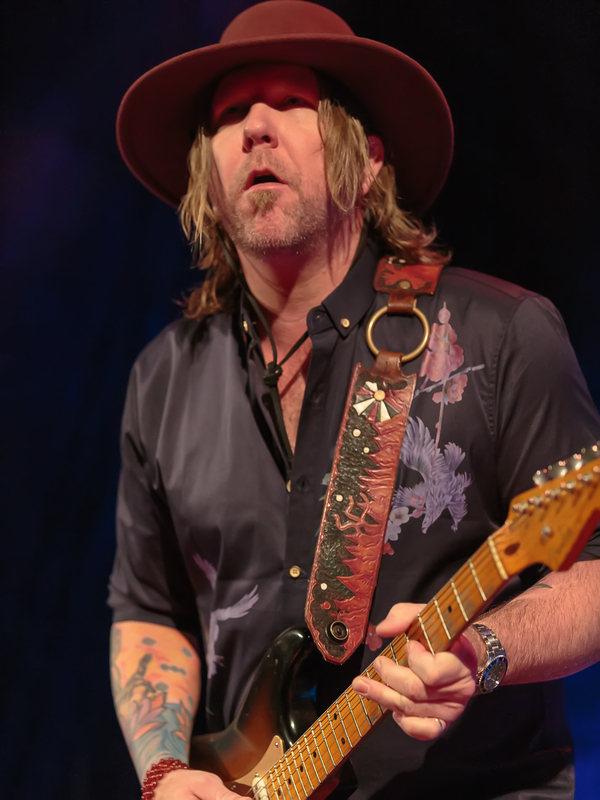 Share the post "Gig review: DEVON ALLMAN – Islington Assembly Hall, London, 4 September 2018"
The legacy of the Allman Brothers Band unfortunately now needs to be secured by other means with the pioneering southern rockers having called it a day in 2014 and further members, including Gregg Allman having sadly passed away since. Fortunately family members are following in their musical footsteps. 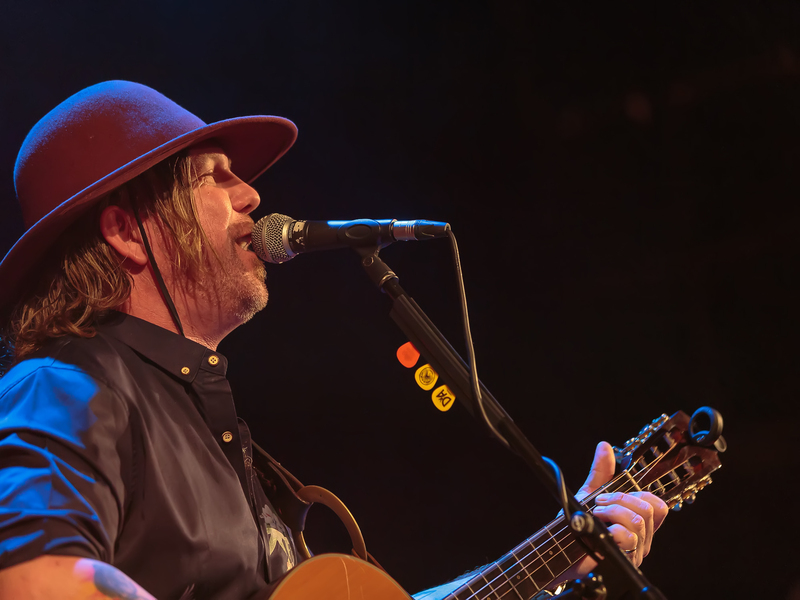 Gregg’s son Devon Allman has for some while forged a career of his own with his own band Honeytribe and supergroup Royal Southern Brotherhood before going solo, and has been a regular visitor to the UK (I was reminded tonight I saw them way back in 2008 in North London). 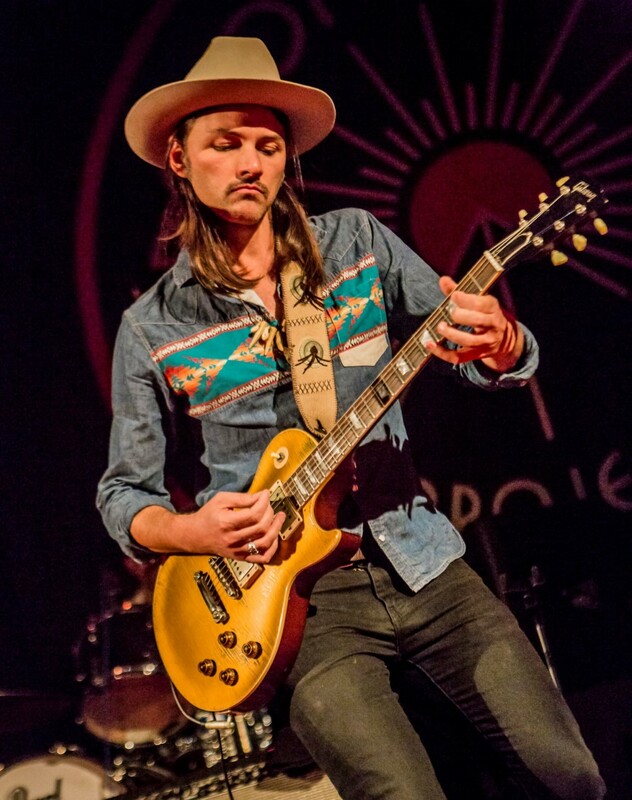 However an added draw on this occasion was seeing him team up with Duane Betts, son of former ABB guitarist (and sometimes singer) Dickey, who has stepped up a chequered musical career with his own EP ‘Sketches of American Music’. Coming on stage sporting a wide brimmed hat and smiling rather bashfully, he opened the show with a support set, albeit benefiting from borrowing the rhythm section of Devon’s band. 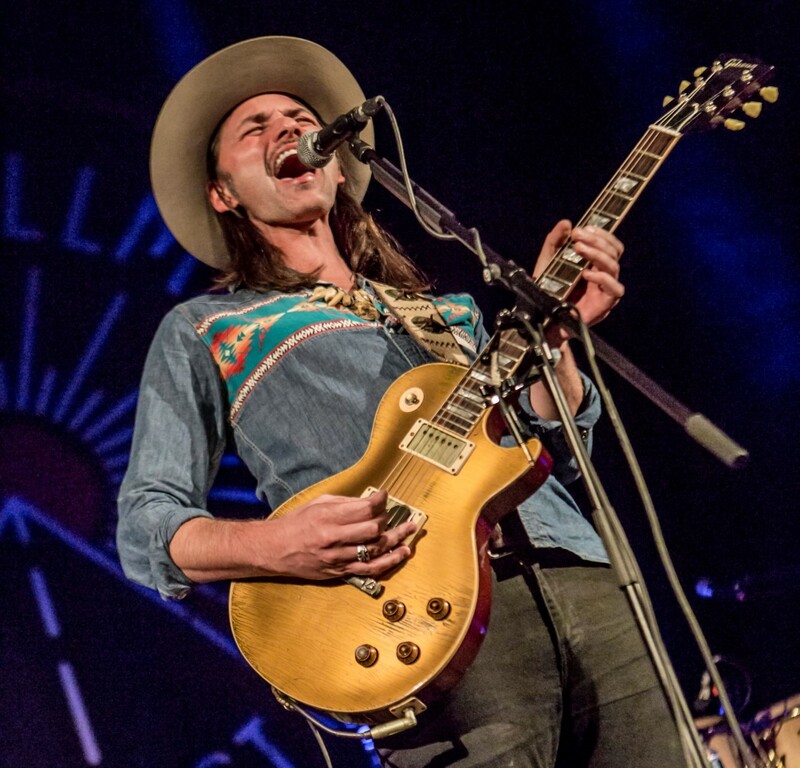 From the first number ‘Downtown Runaround’ with its hypnotic grooves, the parental influence was clear in an impressive, countrified drawl pitched somewhere between his old man, who was the main country influence with the Allmans, and the Cadillac Three’s Jaren Johnston. He is also a tasteful, Gibson Gold Top sporting guitar player although interestingly on the second song, a cover of the Stones ‘Silver Train’ it was his co-guitarist Johnny Stachela who caught the ear with some impressive slide work. That was just an aperitif though for the highlight of the set with ‘Autumn Breeze’ which had a lazy dreamy feel, but then took off into some wonderful dual guitar interplay worthy of the Allmans themselves and a sweet solo from Duane. ‘Ride It Out’ and ‘Taking Time’ were more basic and had a chugging, swampy feel but were scarcely less enjoyable, and a cover of one of the Allmans’ many instrumentals in ‘Hot’ Lanta’ showed off the band’s tightness and ended something of a revelation of a set that made me curious to hear more. 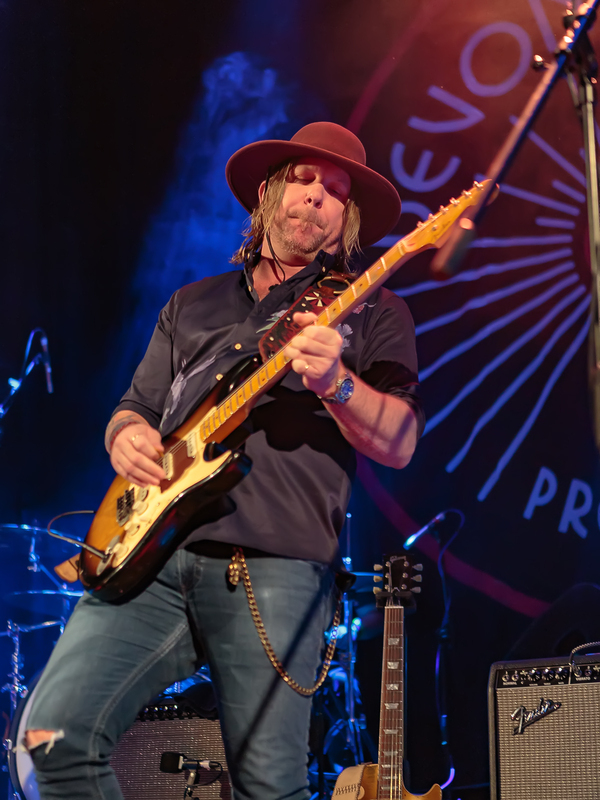 After a 15 minute break Devon Allman took the stage with his band, a rather more rough-hewn figure than Duane, but demonstrating his greater performing experience as a natural showman commanding the stage. Picking up on a theme, the opener was a lengthy instrumental ‘Mahalo’, starting in almost jazzy fashion but building a life of its own with solos from both guitarists, Devon putting a marker down playing with great fire and feeling in a way that reminded me of Derek and the Dominos-era, pre-pipe-and-slippers Clapton. Once again his lived in and soulful drawl, like thick molasses, was proof that, as with the Betts family, the acorn does not fall far from the tree. It was used to varied effect though as ‘Alive’ was an accessible slice of hammond-driven heartland rock, Devon playing acoustic with partner Jackson Stokes doing the solos, then an old Spinners song ‘I’ll Be Around’ was a loose funky jam with a great feel, especially when Devon slowed the tempo to a virtual standstill mid song. My personal highlight followed when Duane joined him, never to leave centre stage for the rest of the set, for a quite brilliant version of another of ABB’s countrier moments in ‘Blue Sky’ and with his guitar and that of Johnny intertwining beautifully. The ambience created was enough to send me into a time machine imagining myself as part of the Old Grey Whistle Test’s famous seventies trip to Macon, Georgia. They then took the pace down, the two main protagonists sitting on stools for a couple of acoustic numbers in the jaunty ‘Friend Of The Devil’ and ‘Multi-coloured Lady’ with Devon telling how his father had written it for his mother. After that though he left the stage, while keyboardist Nicholas David took his turn at the mike for a soulful jam of ‘What’s Going On’, but as this segued into a lengthy instrumental jam for the rest of the set, based around the Allmans’ ‘In Memory of Elizabeth Reed’ there was no sign of Devon some 25 minutes after his first departure. This seemed unusual given that the backdrop behind him read ‘Devon Allman Project’ and Duane had already had his own showcase, and I feared that perhaps he had been taken ill, but fortunately he reappeared for a generous encore. A cover of ‘The Boys of Summer’ was a surprise and extremely well done though perhaps not what people were anticipating, hence the huge cheers from a crowd largely old enough to remember the Allmans from the seventies at Justin Corgan’s bass intro to ‘Dreams’. Devon was let off the leash with a brilliant solo, as they embarked on a lengthy jam with solos from all three guitarists, concluding with Johnny’s slide slot. Finally, Devon swapped electric for acoustic and led the band, now featuring all four guitarists from the evening’s collective, through a fine, concise version of ‘Midnight Rider’ with some very tasteful soloing from Duane. It had been an always interesting, and at times inspired evening, not only celebrating the Allmans legacy but also some talented musicians in their own right who are contributing to the current vibrancy of the southern music scene and helping the road go on forever. 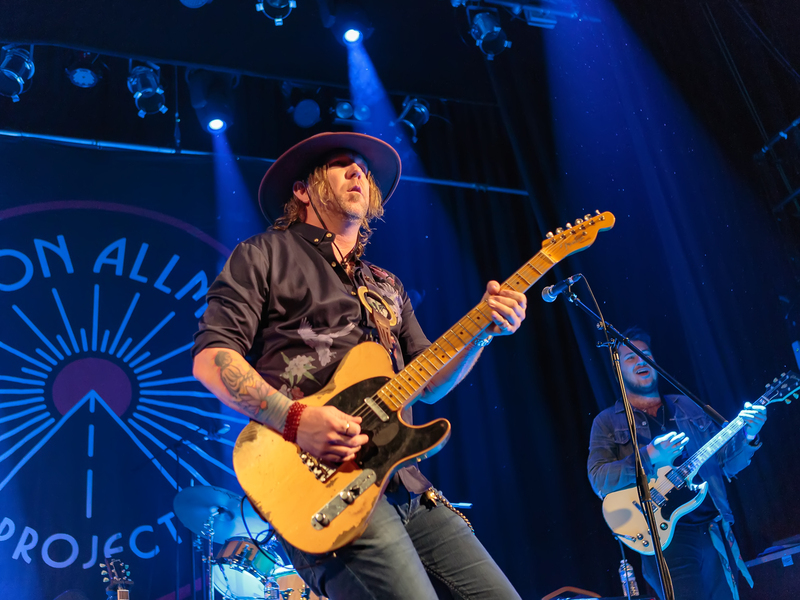 This entry was posted in All Posts, GIG REVIEWS and tagged Allman Brothers, blues, country, Devon Allman, Dickey Betts, Duane Betts, gig, Gregg Allman, Islinton Academy, London, Old Grey Whistle Tes, review, rock. Bookmark the permalink.